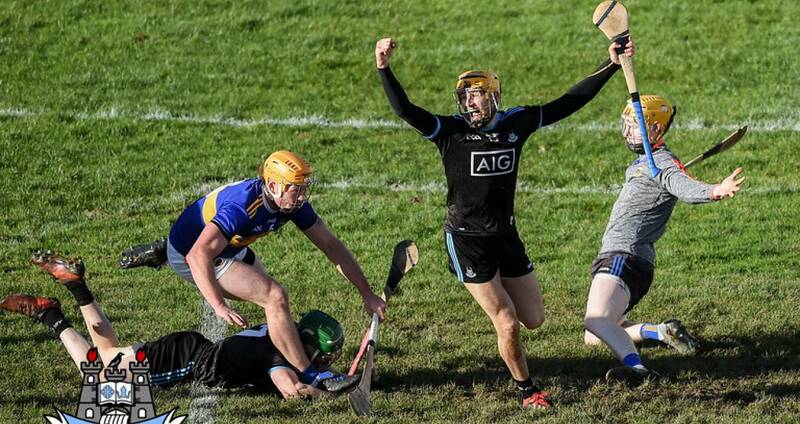 Dublin recorded their first competitive victory over the Premier County in Tipperary since 1946 when battling to a great victory in this HL Division 1 quarter-final in Semple Stadium, Thurles on Saturday evening. 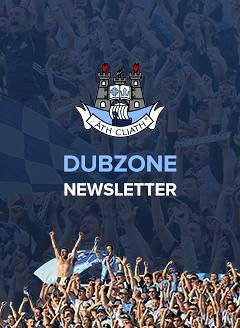 "Their character was really tested in the second half," said Dublin manager Mattie Kenny afterwards. "We brought a bit of an advantage in to the dressing room at half-time but Tipperary came out and blew that advantage away in three or four minutes. "The next 30 minutes or so they had to dig deep, playing into a breeze, but our guys worked some nice scores. "To be able to come down to Thurles, after seeing last week the quality of the Tipperary side, and get a good performance from our guys, it will stand to them." Dublin settled quickly and were boosted by an Eamonn Dillon goal in the fourth minute after he reacted quickest to a mis-hit by Oisín O'Rorke to scramble the sliotar to the net. With the advantage of the wind Dublin struck some fine long-range points with Seán Moran (two), Chris Crummey and Eoghan O’Donnell all on target. Mattie Kenny's men led 1-10 to 0-9 at the break but must have been concerned when that buffer was reduced to zero within four minutes of the restart after scores from Jason Forde (two), Jake Morris and Noel McGrath brought the home side level. Dublin though had to show their battling qualities - Tipp got level on three occasions in the second period but in each instance the Dubs got the next score. The Dubs also enjoyed impact off the bench with Cian Boland and Paul Ryan both contributing two valuable points each from play. A Mark Kehoe point in the in the 67th minute had the sides level but the highly influential Seán Moran converted a '65' before Paul Ryan edged the Dubs two points clear. Dublin lost Danny Sutcliffe to a second yellow card late on but it wouldn't take from Dublin's day as they booked their berth in the last-four. SCORERS – Dublin: E Dillon 1-3, S Moran (0-3f, 0-1 ’65'), O O’Rorke (0-4f) 0-5 each, C Boland, P Ryan 0-2 each, E O’Donnell, R McBride, C Crummey, J Malone 0-1 each. Tipperary: J Forde 0-7 (0-6f), N McGrath 0-4 (0-1f), J Morris 0-3, M Kehoe, S Callanan 0-2 each, R Maher, M Breen, N O’Meara, J McGrath, B Maher (0-1f) 0-1 each. DUBLIN: A Nolan; P Smyth, E O’Donnell, D Gray; D O’Connell, S Moran, C Crummey; R McBride, S Treacy; C Conway, D Sutcliffe, J Malone; F Whitely, O O’Rorke, E Dillon. Subs: C Boland for S Treacy ht), J Hetherton for Conway (ht), P Ryan for Whitely (56), R Hayes for Malone (61), D Treacy for O’Rorke (inj, 69). TIPPERARY: P Maher; C Barrett, J Barry, Joe O’Dwyer; R Maher, Pádraic Maher, R Byrne; N McGrath, M Breen; J McGrath, S Callanan, N O’Meara; John O’Dwyer, J Forde, J Morris. Subs: Patrick Maher for J McGrath (35), B Maher for Byrne (47), M Kehoe for John O’Dwyer (57), A Flynn for Breen (61), D Maher for N McGrath (inj, 73).